This is a quite clever minimalistic movie trailer for an otherwise horribly cheesy film. How long is it going to be before hollywood gives up 3D once and for all? 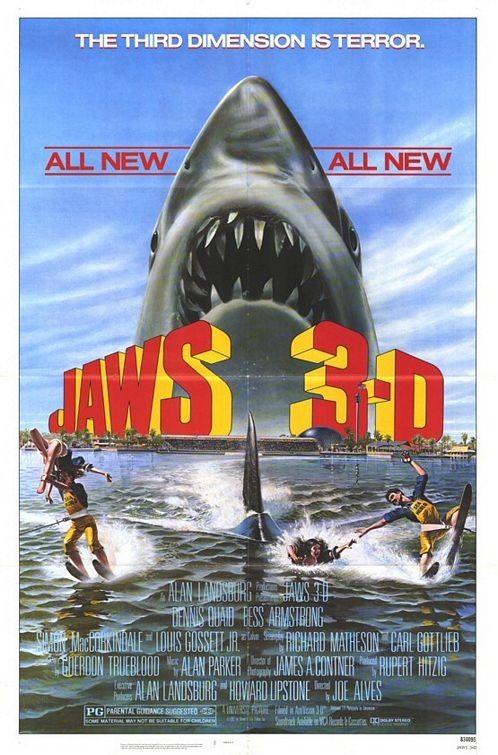 Here is the movie trailer for "Jaws 3D"